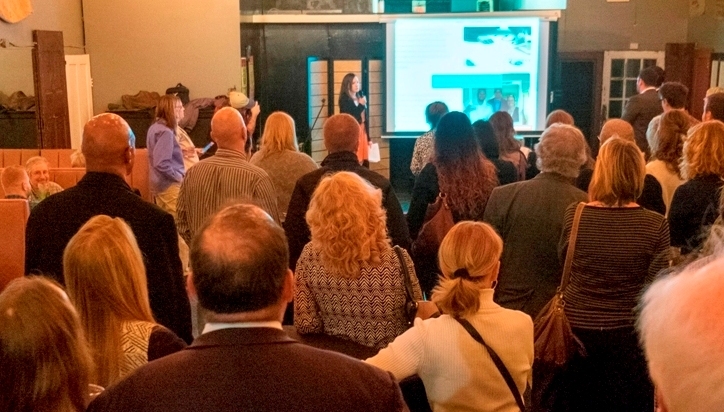 It’s hard to believe it has already been almost one year since we introduced the Be Here initiative at our Launch Party. The past twelve months have been a whirlwind full of projects, presentations, conversations, and most importantly, the incredible support of our community. With the Be Here initiative, our goal is to show that you CAN thrive in the Venango Area. We often hear comments such as: “there are no jobs here” and “you have to leave to be successful,” and we are here to spread the work that opportunities do exist here. While we know our area has its challenges, we also know that it’s a great place to live, work, and play, and together as a community we can help our area thrive. The first step was to gather information and perspectives to find out what really makes this a great place to be. We conducted a survey of over 200 community members asking questions about what they like and dislike about the area, why they chose to be here, what they’d like to see improve, and more. We also held focus groups with human resource representatives from local businesses to gather information specifically about employment opportunities and hiring/retaining employees in our area. Besides surveys and focus groups, we did research to collect statistics about Venango County and met one-on-one with local experts to gather as much information as we could. We still continue to learn and hear different perspectives all the time, and are constantly updating our website and other promotional pieces. A lot of our efforts were put towards spreading the word about Be Here and the opportunities in the Venango Area. We did this through our website, social media, contests, marketing pieces, presentations, decals, word-of-mouth, and more, and we know we still have yet to reach as many people as we’d like. Starting this month, we will also be sending out a monthly email with updates about Be Here. You can join the email list here. 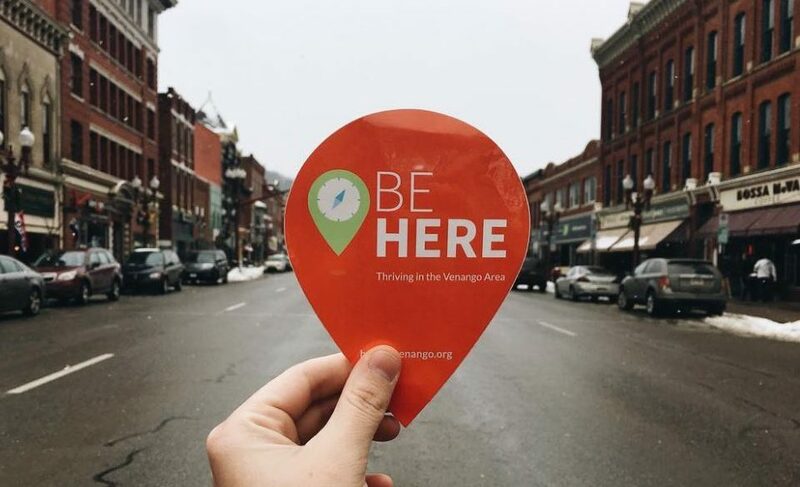 We not only want to make sure people are aware of Be Here, but we hope to help shift attitudes and get people to be more positive about the area and recognize what we have here. We’re always willing to speak to groups, students, organizations, or individuals, and invite you to contact us if you are interested. I’ve also played a huge role in helping out with Future Leaders & Entrepreneurs Exchange (FLEX), the Chamber’s young professionals organization. We want to be out in the community as much as possible, having conversations and assisting where we can. Our goal is to also bring community members together as much as possible, like when we gathered about 15 community leaders in November at the Barnard House with Pete Eshelman (learn more about that meeting here). The first step was to gather information, then get people to recognize the opportunities in the area and hopefully shift their perspectives. We knew we had to do more than just talk, though, by playing a part in helping the area thrive. While Be Here is about attracting and retaining people who call Venango County home, we also play a role in assisting visitors who are in the area for a shorter period of time. The Venango Chamber publishes a Venango County map every few years and this year it was under Be Here’s wing. With support from local businesses through advertising, the map will also be used to help sustain the program, since Be Here is grant funded. The map has been sent to the printer and will be available soon! What job and salary would you prefer if you return? What do you like and dislike about the area? Although we specifically wanted responses from people who have left, we also appreciate feedback from those who have stayed here. We are working on this project with the County of Venango and the data will be used when making decisions related to economic development, employment, and similar areas. We are still collecting responses. If you’d like to take the survey, please click here. We’re excited to see the progress of our website and other promotional materials, but know we still have some work to do. 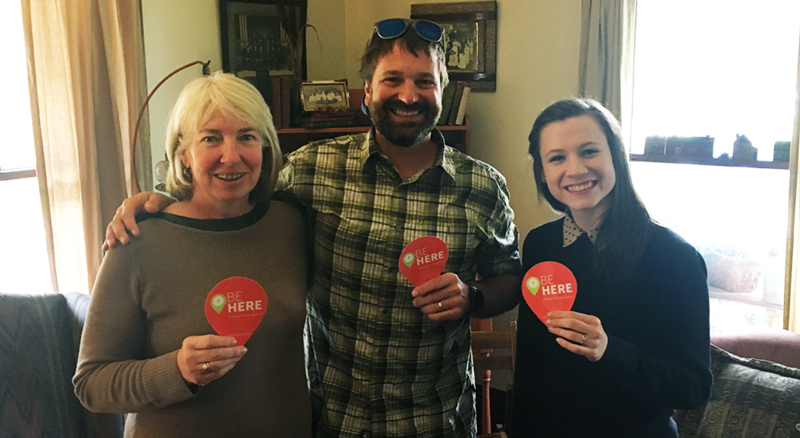 We plan to continue to improve our efforts spreading the word about Be Here, through online and print materials, word-of-mouth, meetings with community members, and more. While we’re not sure what it will look like yet, we plan to create some community programming around topics such as workforce development, community pride, education, and community development. We know our message has reached people who have considered leaving or have already left our area, and in 2018 we hope to be able to share many stories of people who chose to be here because of the positive messages they’ve heard through this program. While Be Here has been generously funded through a grant from PNC Charitable Trusts, we know grant money does not last forever and we plan to sustain this program for future years. To do this, we will raise funds through community initiatives, Chamber support, and fundraisers. We appreciate the support we’ve received over the past year and look forward to another year of Be Here! We invite you to celebrate one year with us on Friday, January 26, from 8 to 10 a.m. where it all began at Karma Coffee Co in Oil City. We’re providing coffee and pastries, and sharing more information about accomplishments from this past year and plans for the future. An RSVP is appreciated—please email acowles@venangochamber.org or call (814) 676-8521. If you are unable to attend the event, we invite you to contact us to share what you think about Be Here and ideas you have for the future. You can reach out to me (Ashley) or comment below. 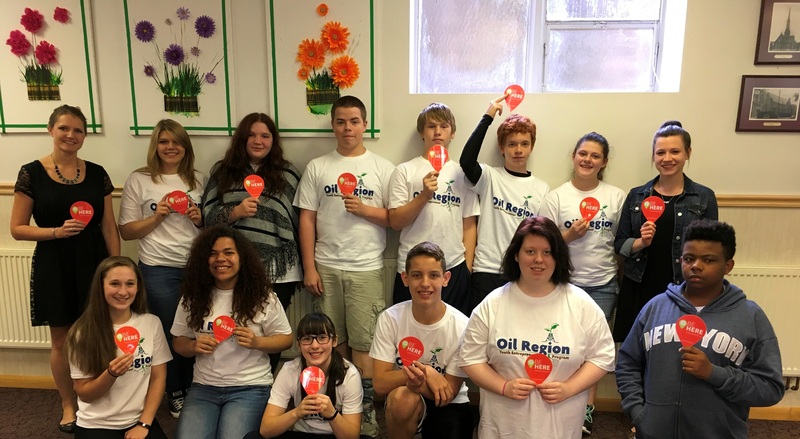 We’re ready for another year to help the Venango Area thrive! Thanks so much for what you’re doing and I am going to endeavor to be a part of this initiative and sharing the positive things our county offers. Thank you for your interest in the initiative! I’m so glad you tune into The Stream and heard our segment this week. Yes, we have Be Here decals at the Venango Chamber and they are also available at various businesses throughout the community, such as the local coffee shops. Let me know if you think the decals should be available somewhere, and I’ll be sure to drop some off. Also, thank you for the correction for the school’s link. It has been updated. We appreciate all your kind words and support of Be Here! It’s community members like you who help us to continue to do what we’re doing. We will actually be launching a Be Here Ambassadors program very soon, in which we’ll invite people to join us in spreading the message of the initiative. I’ll be posting an article about the ambassadors program on the website and also sharing information on social media and through emails (you can sign up for the email list at beherevenango.org/subscribe). We’d love for you to consider becoming an ambassador.